November and December again saw Islamist speakers gain unfettered access to students to spread their divisive ideology. Behind the badge of civil discourse lies individuals with a host of extremist views. 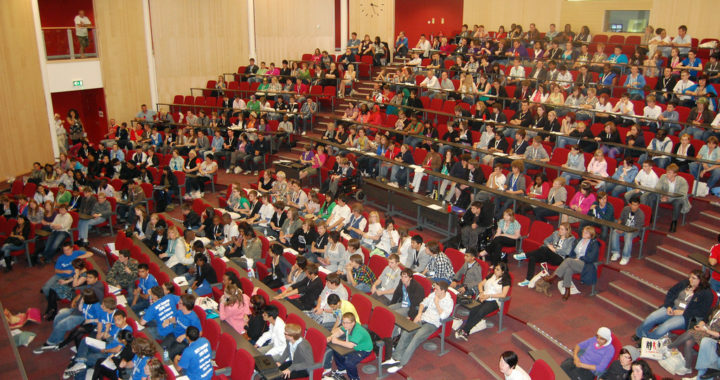 Universities that hosted such speakers included: Roehampton and Middlesex, Oxford University and University of London, Brunel. The speakers were Yahya Raaby and Musa Adnan, Dilly Hussain, Mohamed Tarawneh and Usaamah Ath-Thahabi. November saw Yahya Raaby and Musa Adnan speak on the Roehampton and Middlesex university campuses. The charity dinner at Roehampton that Raaby and Adnan attended saw the funds raised donated to Islamic Relief, a charity with worrying links to extremist groups. Added to this, Raaby himself clearly has sectarian and extremist tendencies. He has said on Twitter that Shia Muslims are “devils”, using the term rafida, meaning rejectors. He has further called for action against Shia Muslims who partake in dawa (proselytising) in Africa on Twitter. Musa Adnan’s antipathy extends to Jews, who he has compared to Nazis, saying “Muslims in Gaza = Jews in Nazi Germany … Nazis = Israeli Defense Force … This is the truth whether you like it or not!” This is in breach of the IHRA definition of anti-Semitism. Dilly Hussain, Editor of 5Pillars magazine, spoke at the University of Oxford on November 5, 2018, and was hosted by Oxford Islamic Society. As Sara Khan, now the UK’s counter-extremism commissioner, noted in the Guardian, he has expressed support for the Salafi-jihadist ideologues Sayyid Qutb and Abdullah Azzam. He has hoped that “justice will serve a humiliating blow to the Zionist oppressors” through the will of Allah. He has also claimed that “If you’re still in denial that a full on ideological/cultural war is being waged on Islam and Muslims, then you need to wake up.” According to Hussain, ISIS is a “dream come true for the West”, and a stick that the West uses “to beat the Muslims with.” He further claims that the West conflates ISIS with the Caliphate, in order to “demonise the noble concept of the Caliphate.” For Hussain, the Caliphate is an idea that “continues to be maligned by academics, journalists, Western policymakers and governments.” Hussain is extreme in his rhetoric, and uses the example of ISIS to further his own us-and-them narrative pitting Western Muslims against their governments. Mohamed Tarawneh spoke at University of London, Brunel on November 22, 2018. He was hosted by Brunel Islamic Society. Tarawneh has been a presenter on the Islam Channel. According to a report by Talal Rajab of Quilliam, is the “most watched Muslim television channel in the UK.” The report found that the channel promotes a divisive narrative and is “sowing suspicion between different religious communities and promoting intolerance and prejudice.” Regressive narratives concerning women are common, demonstrating a Wahhabi influence. It has hosted speakers like Anwar al-Awlaki, and the Islamist extremist group Hizb ut-Tahrir. Suicide bombers are known as “human bombs” by the channel. The Sheffield Islamic Circle at the University of Sheffield played host to Usaamah Ath-Thahabi on December 12, 2018. Ath-Thahabi is the most extreme of this group of ideologues. Secretly recorded on the Channel 4 television show ‘Undercover Mosque’ he praised Osama bin Laden, said that “Christians and Jews are enemies to Muslims”, taught that “jihad is coming against the unbelievers” and called for the killing of homosexuals, a call which he then repeated by saying that they should be thrown from a mountain. This should have immediately triggered a response from the university under Sheffield’s statutory obligations. Ath-Thahabi should not have been afforded an uncontested platform to speak. Going further, Ath-Thahabi, has called for all kuffar to be crucified. Added to this are his regressive attitude to women and girls. He has claimed that women have “deficient” intellects and that girls should be beaten for not wearing the hijab. None of these men appeared subject to challenge or scrutiny. They all hold extreme and sectarian views, the only difference being how militant they are in their expressed rhetoric. The fact that these ideologues have been allowed to speak on university campuses, despite their past radicalism, means that much work needs to be done to stop extremists spreading their ideology to young university students, who are not yet educated or wise enough to know the extent to which these speakers could start them down a very dark path indeed. Posted in blog and tagged Henry George. ← Who are Generation Identity?